As the top free apps in Apple App Store, the VLC media player has expanded the traditional playback support for more video and audio file formats than the built-in video player app in iPhone and iPad. However, when VLC is back to the App Store in February 2015, the support for AC3 audio codec was removed since the version of 2.4.1. A lot of people find that the DVD Ripped MKV file with AC3 audio plays with no sound in VLC. The good news is that according to the release notes in the app store, the VLC version 2.7.7 for iOS devices comes with AC-3 and E-AC-3 support for iOS 9.3 and newer devices. Even under this important update, there are still some people complain that they fail to play AC3 with iOS devices 9.3.1. Why AC3 not play on iOS 9.3.1 or newer devices? From above tablet, we can see that you you will fail to play some iOS devices such as iPhone 5c and older, original iPad Series even if you’ve update your iPhone or iPad to 9.3.1. To get AC3 played on all iOS devices, it would be much ideal for you to transcode AC3 to VLC for iOS native compatible AAC or MP3 audio format. 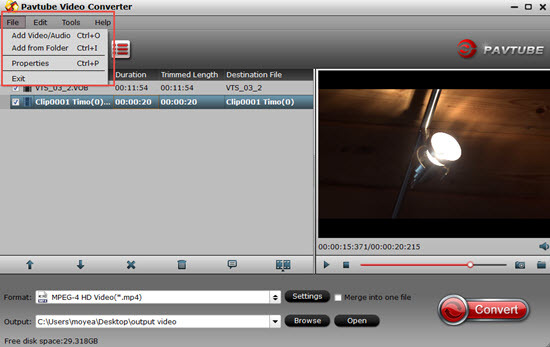 Here, you can easily fix the audio incompatible issue by downloading Pavtube Video Converter. The program can assist you to easily transcode AC3 audio codec in different container file formats such as AVI, MKV, MP4, MXF, etc to iOS devices installed VLC media player compatible AAC or MP3 audio format. The program supports batch conversion mode, so that you can load multiple video into the application at one time for conversion to save your precious time. 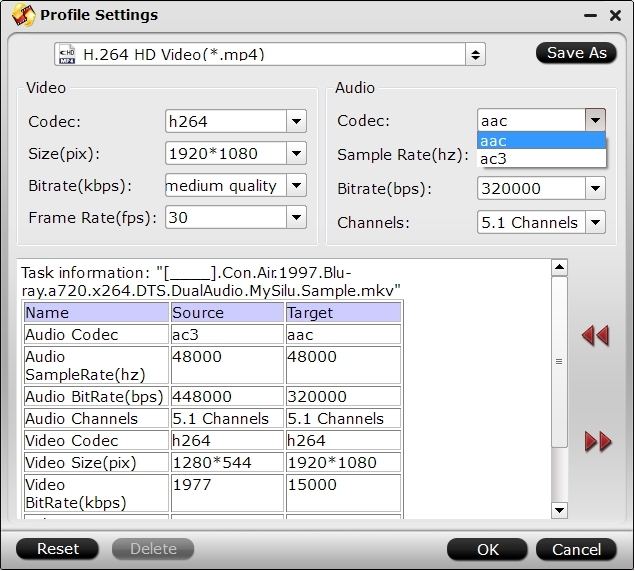 To get better output video and audio quality, you can flexibly adjust output profile parameters such as video codec, bit rate, frame rate, resolution or audio codec, bit rate, sample rate, channels, etc as you like. For Mac users, please go to download Pavtube Video Converter for Mac to complete the conversion on macOS High Sierra, macOS Sierra, Mac OS X El Capitan, Mac OS X Yosemite, Mac OS X Mavericks, etc. 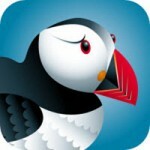 Step 1: Add video files with AC3 audio codec into the application. Run the program on your computer click “File” to load video source with AC3 audio codec. Step 2: Pick output file format. Click the “Format” bar, from its drop-down list, choose one of VLC for iOS devices playable video format such as “H.264 HD Video(*.mp4)” under “HD Video” main category. Step 3: Define output audio codec. Click “Settings” on the main interface to open “Profile Settings” window, in audio section, from “Codec” drop-down list, choose VLC for iOS devices native playable AAC or MP3 audio codec. You can also tweak other settings according to your own needs. Go back to the main UI and click “Convert”button to start AC3 to VLC for iOS compatible AAC or MP3 codec conversion process. When the conversion is completed, click “Open Output Folder” on the main interface to pop out the folder with your converted files, you will then have no problem to play AC3 codec on any iOS devices with VLC media player.